How do I write thee? Let me count my Writing Process ways. 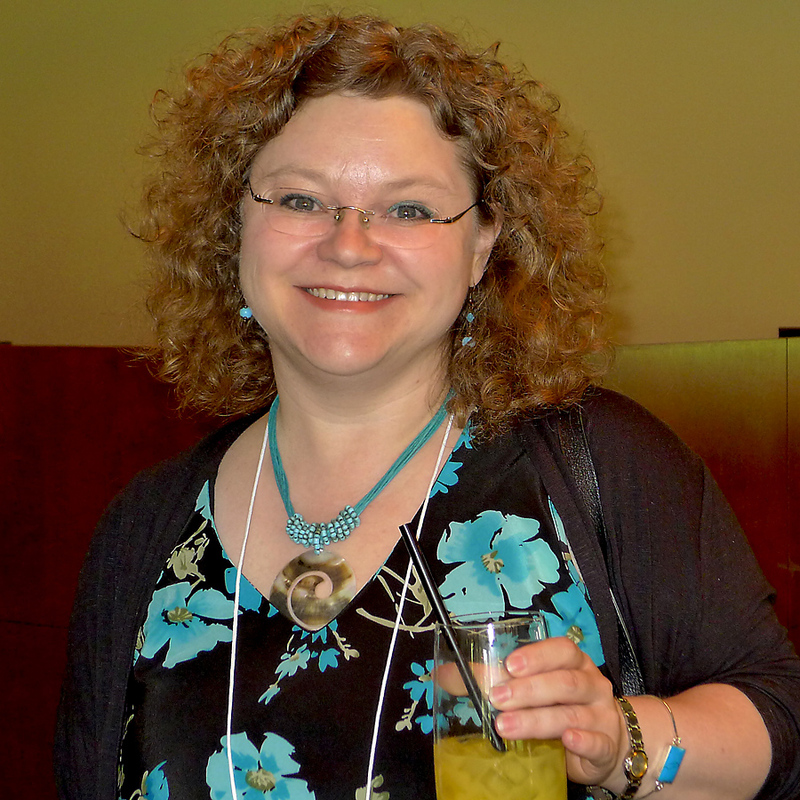 The Alberta Romance Writers’ Association (ARWA) held a workshop last Saturday with a presentation by Mahrie Glab about the writing process. In an effort to make her writing process more sane, Mahrie has used various tools and templates over the years. Although Mahrie is a Plotter and I am a Pantzer, we both are “Template Collectors”. On the continuum of writing styles, there’s the Pantzer who writes by the seat of their pants (without an outline) and the Plotter who writes after having created an outline. And there is every variation in between. Some writers even hop back and forth along the continuum. I know one thing before I start writing a book. If I’m writing a romance, I know it will have a happily-ever-after ending. Or at least, happily for now. If I’m writing a cozy mystery I know that Good will triumph over Evil. That’s it. Some writers find outlines helpful. Others do not. My brain dries up when I try to use that approach. I am impressed with writers who can “know” their story BEFORE they start the writing. I need to discover the story as I am writing it. But I do use outlines. Very extensive outlines. AFTER I have written the words. A Plotter would say that I am doing it backwards. I write the story as it happens in my head, a scene at a time. And then I take what I have written, edit it, and get it just so. Then I put it in point form and plop it on the outline. Then I do the next scene. And so on. In this way, though I don’t know where the story is going, I can see where it has been. I have this tidy little summary so I can keep my world clear in my head. What if I write myself into a corner? That can be a problem because if something happens in one of my stories, it cannot UN-happen. It has become reality and I cannot change it. So I have to wait until the answer presents itself. I know there are writers who decide mid-book that their story is going over a cliff. They are able to stop, lift out the wrong parts and replace them with an alternate reality. I wish I could do that, but I would not be able to keep my realities straight. At any rate, it takes a long time for a story to move out of my head and onto paper. 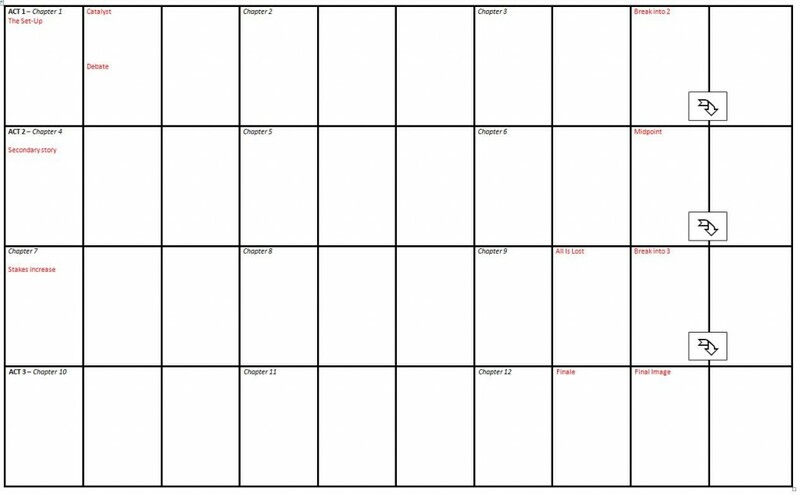 So, with each book I begin, I tell myself there has to be an easier way, and I set out to create The Perfect Template. Spoiler alert: there is no easier way. I have borrowed and modified many templates. Here are a few. One of the first things I tried was the character interview. If you’re a writer, I’m sure you have one. You can have mine if you like because I don’t use them anymore. I meet my characters as they meet each other. Other writers use various ways to gather information about their characters . A simple or detailed questionnaire. Pictures. Maybe a free flow ‘chat’ with the character. Remember those little 3×5 cards your teachers told you about? Good for organizing essays? ARWA member Lorraine Paton bettered this idea with the PowerPoint Scene Card approach. 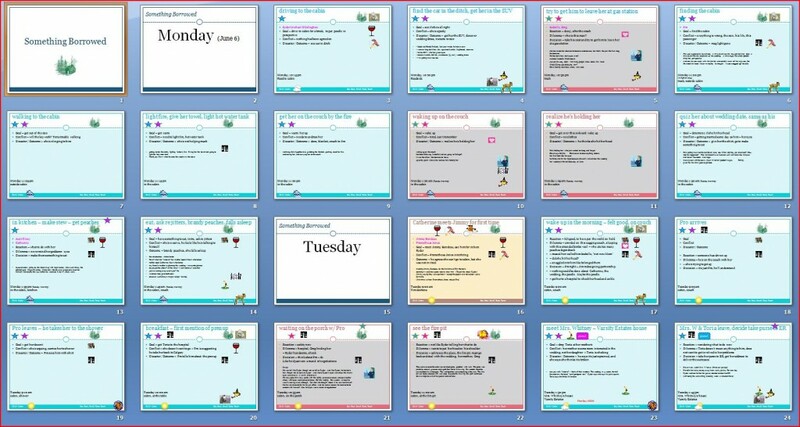 Doing scene cards in PowerPoint makes them easier to create and to sort. And you can have a lot more fun with all the pretty colours and fonts. You can even add pictures. Here’s a portion of the PowerPoint Scene Cards I used in ON THE WAY TO A WEDDING. Note the 3 colours for the 3 points of view that appear in the story. 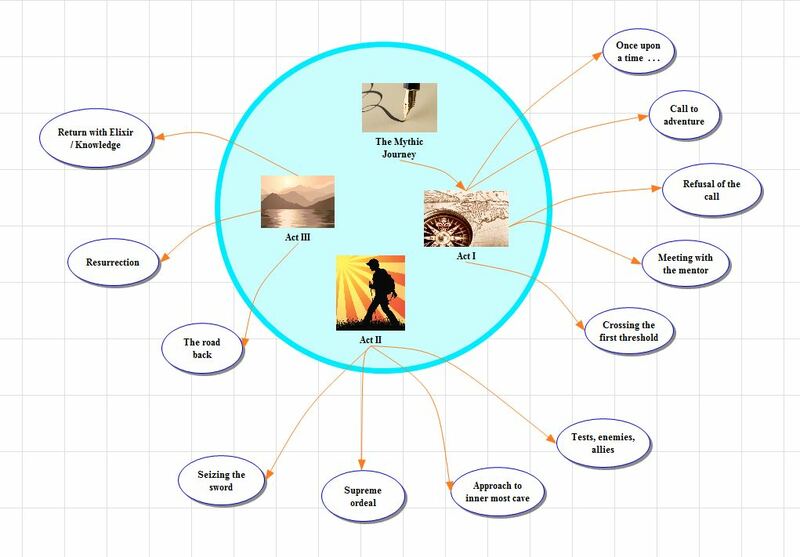 I also used icons to represent “threads” I wanted to keep track of. It’s helpful to know how all the characters fit together in the story. I made the hero’s relationships in blue, the heroine’s in pink. This is a 12 step approach created by Christopher Vogler. Again, I fill this in after the fact, and it helps me to keep track of what has happened so far. I see where my story matches up with The Journey, and that helps me to understand what is to come. Created by Randy Ingermanson, this is primarily for Plotters but I found the first three steps quite useful. 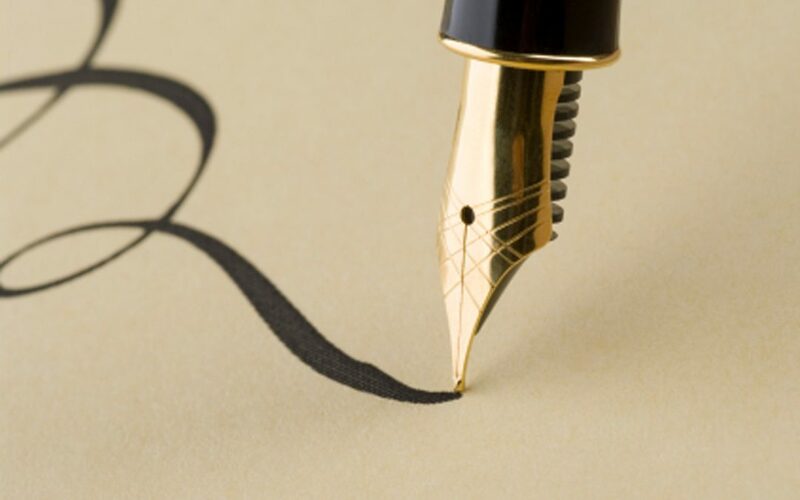 This page will also take you to many other writing articles. Bonus: He has one of the best articles on “Writing the Perfect Scene”. I will probably always fall back on this one. 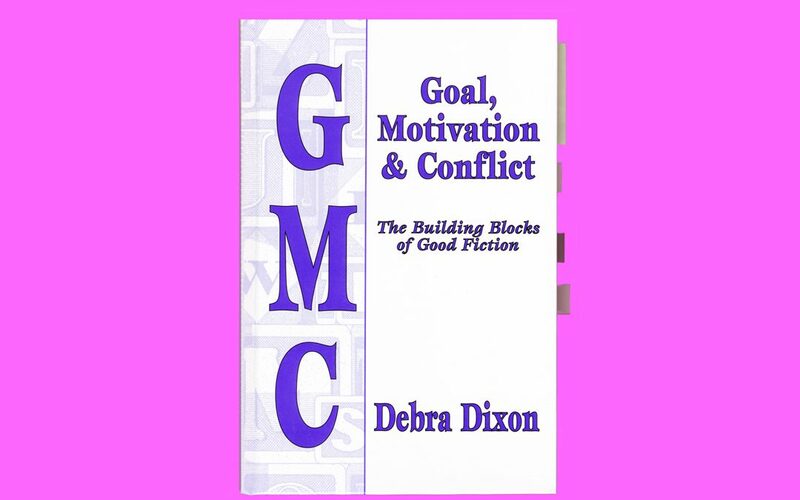 I first learned about Three Act Structure from ARWA member Diana Cranstoun. I know that Act 1 will take 25% of the story, Act 2 will take 50% of the story, and Act 3 will take the last 25% of the story. There will be a 180 degree turn at the end of Act 1 and at the end of Act 2. At the midpoint of the book, there will be a Point of No Return. The point where the character is forever changed, although the character has not fully transformed until the end. I dial in the length of the book I’m writing. Novella or Novel. And then I begin to write. And I fill in each square AFTER I have written that part. Again, I don’t know where I am going, but I can see where I have been. When I have reached the word count that suggests I am at 25%, I look around for that first turning point. Sometimes it’s not obvious and I have to wait a few days to see what it is. Sometimes it jumps out at me. Every once in a while, I print this chart out on an 11 x 17 page, so I can carry it around with me and stare at it. Like Mahrie, I have collected quite a few templates in my search to discover my Writing Process. If only I could identify what worked, I could easily repeat it, right? After a while, I realized that in my efforts to discover my process, I was developing a new template for each book. In fact, I discovered that my process was to discover my process. 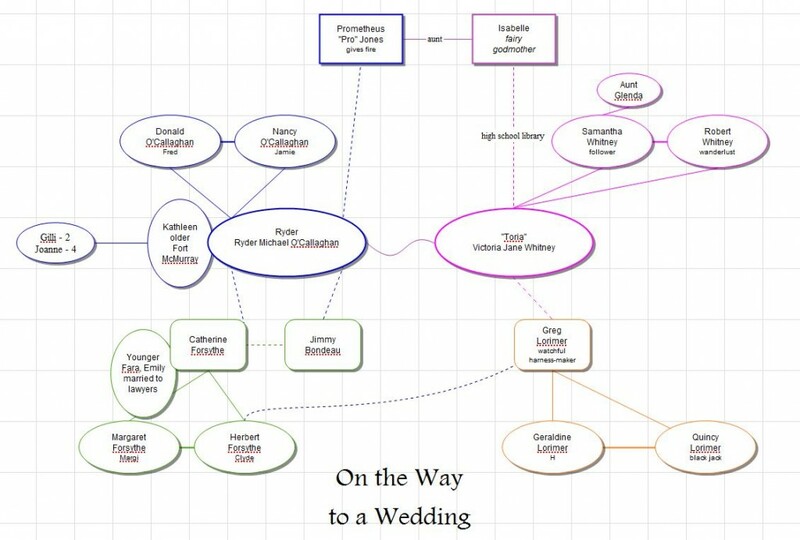 In doing that, no matter the template, I was focusing my logical Left Brain on a clear problem: how to sort the massive amount of data needed to create a story. Doing that allows me to get out of the way of my creative Right Brain so that it can figure out—without interruption—what the story is. 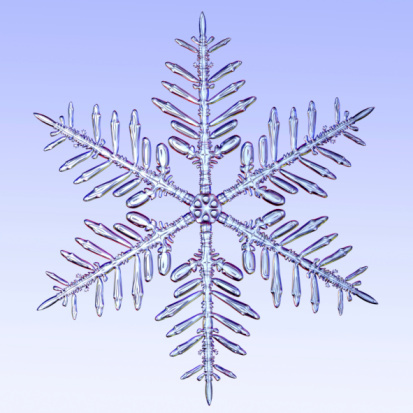 In the end, templates are methods of sorting, and sorting calms the mind, and a calm mind allows creativity to happen. Do you have a favourite calming strategy to let the creativity flow? 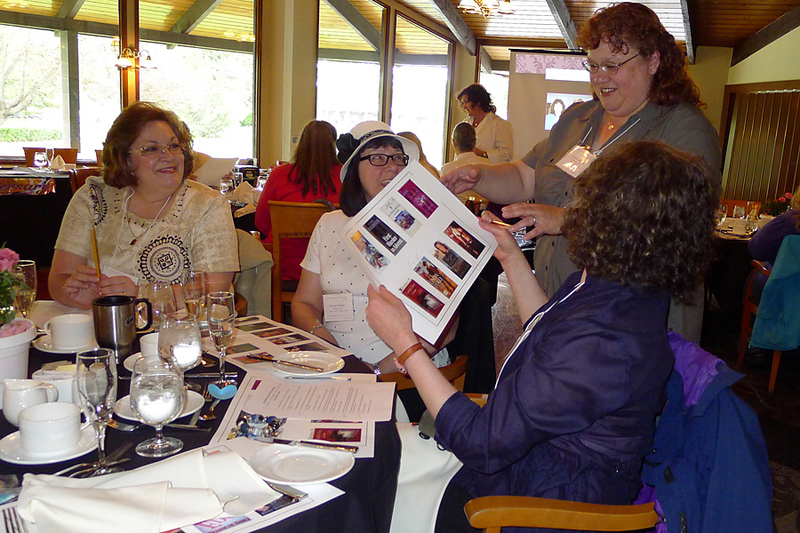 On Saturday, May 26, 2012, the Alberta Romance Writers’ Association had its 25 Year Celebration at the Willow Park Golf & Country Club in Calgary, with over 60 current and former members attending. 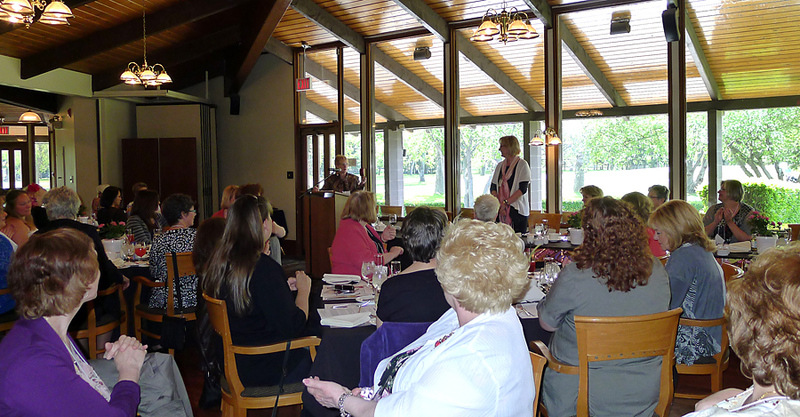 Following her welcome, she turned the podium over to emcee (and romantic suspense writer) Mahrie Glab. 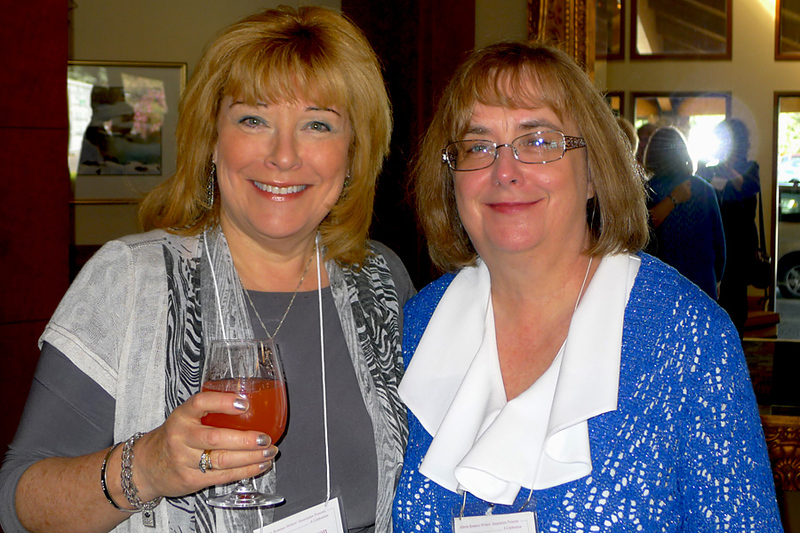 Staff members filled our flutes with champagne (sparkling juice for the teetotalers) and we raised our glasses to toast the first 25 years of ARWA. I joined this group in 1998 and this is where I first learned, and still learn, about writing romance. Due to illness, Judith Duncan couldn’t be with us and was sadly missed. 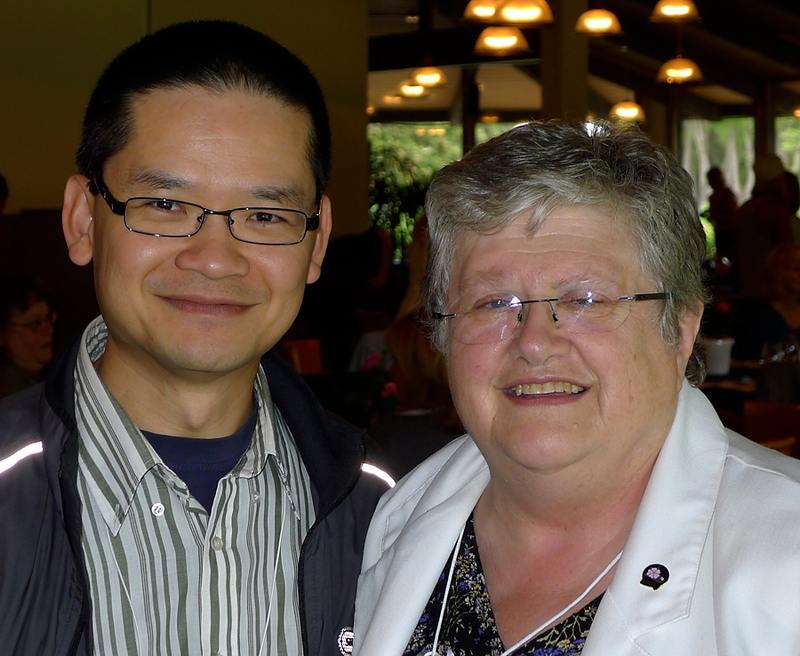 I am one of the many writers who learned POV (point of view) from Judith Duncan. I aspire to do it as well as she does. Mahrie filled the rest of the morning with door prizes and trivia. 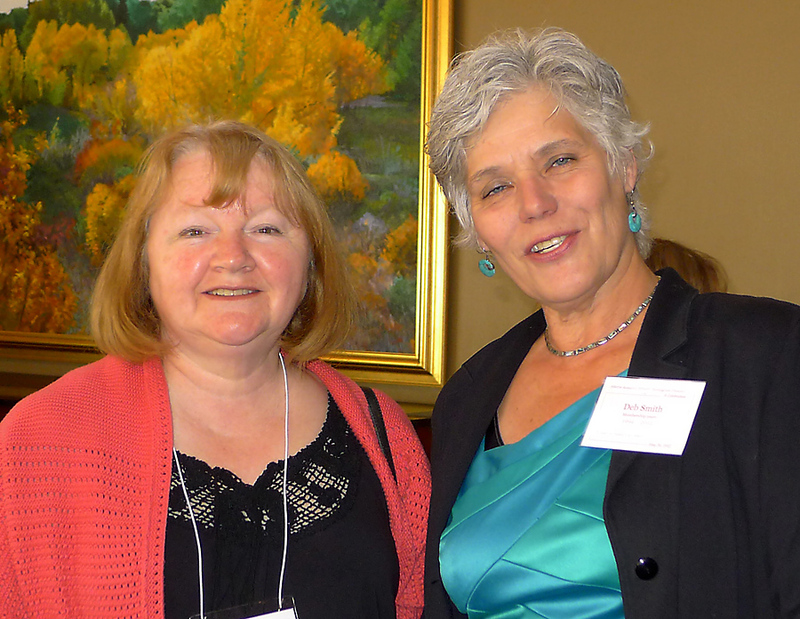 She also called on Brenda Collins to speak about the Bandit Creek series launched by CARWA, our sister organization. Members donated a wealth of door prizes including a Kobo, a wireless keyboard, Starbucks coupons and original artwork. 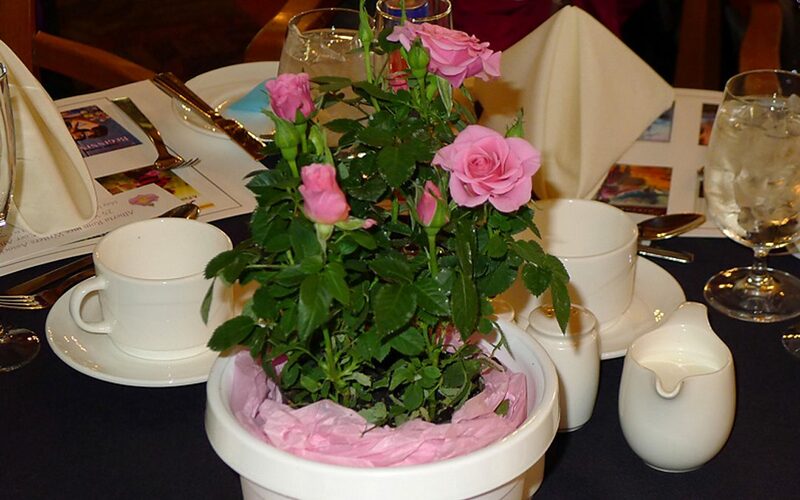 There were many other prizes as well as many pots of roses. The Country Club put on a tasty and nutritious lunch buffet and dessert table. After lunch and more mingling, we heard from Dee Van Dyk, another Charter member. She talked about her early writing experiences from the time when the original group was working with multi-published Judith Duncan in a course sponsored by Alberta Culture and the Calgary Public Library. All the stories are published in this year’s Treasures Along The Fenceline. A PowerPoint slide show ran throughout the day. Created by Lorraine Paton, it featured our candid photos and our various book covers from over the years. And speaking of book covers: someone had the excellent idea of making placemats with a book cover design—eight covers per placemat. This resulted in a lot of placemat switching so members could have a placemat with their own cover represented. And members were autographing each other’s placemats. In fact, Jessica had a placemat with my Bandit Creek cover on it and she ASKED ME TO AUTOGRAPH IT! It was the first time I have ever done an autograph. I never knew it would feel so good! I took a lot of photos and I’m still naming them. I’ll be forwarding them to ARWA’s webmistress and you’ll soon be able to see them all. For now, I’m posting a few here. And at the end of the photos, I have included a recent YouTube about one of the world’s Great Marriage Proposals. It’s sure to make you smile. Thanks for the memories, ARWA. I’m looking forward to the next 25 years. And here it is. The best wedding proposal ever.